Just hours after Business tycoon Vijay Mallya was arrested in London, he was granted bail by the Westminster court in London. 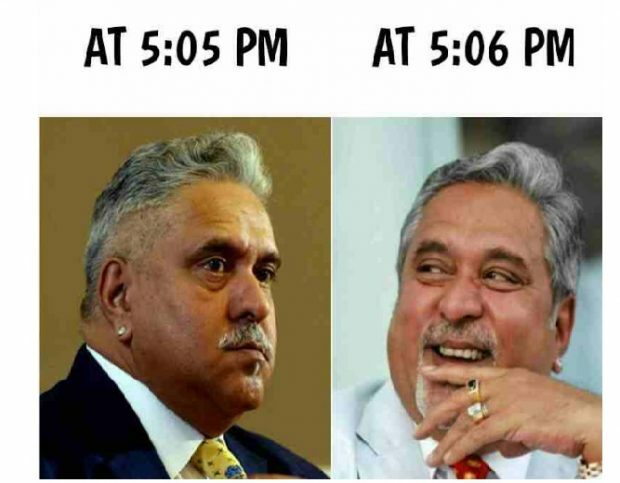 Earlier today, Scotland Yard police arrested Mallya in connection with the money laundering case against him. This development came a year after he fled the country. Before people could digest and SBI could celebrate, the King of Bad Crimes got a bail.Probably, the fastest bail in the history of judiciary.After his arrest, it was reported that the Central Bureau of Investigation (CBI) will soon visit the United Kingdom. The Scotland Yard police affirmed that the arrest was made on the request of the Indian authorities. The liquor baron shared this tweet moments after the news of his arrest broke out.Without much of a doubt, Indian Twitter erupted with reactions and some of them are downright hilarious. Here are the best ones.